I have a graphic issue when using the roll-up fence feature of fences 3. The background of the fence are broken after several roll up. Iam using Windows 7 pro and also using Deskscapes 8 and cursorFX plus software. Please see the video on youtube for more details. Sorry you are having issues. Then report back here , Thanks. Hi, I tried all steps that you mentioned above include using the newest version of fence but the issue still exist. I found the rule to replicate this issue, this only happens when we have fences on multiple desktop pages. Try to roll-up fences on one page then slide to another desktop page and roll-up fences on that page then this issue will appear. Please see the youtube video for more details. Hope you will find a way to fix this. Just curious, if you totally turn off Deskscape, does the problem still there? 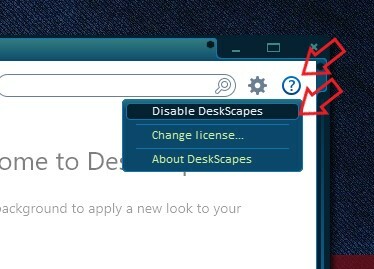 As you guest if the DeskScape is turn off then this issue does not appear. So what about the solution for this? I want to run both DeskScape and Fences 3 at the same time, please help to fix this. I have another one. If you turn on DeskScape but just load Static Wallpaper does the problem still there? I can't directly help you solve this one but I can help Stardock Support team to get as much information as possible for them to work on. Appreciate your feedback and patience. That's ok if i can help you guys find out the root cause of this issue, I tried to use a static wallpaper of Deskscapes and this issue still happens. Do remember to reboot before testing the fences problem. I tried to purge and reinstall deskscape with newest version, also reboot my computer before testing the fences but the problem still there. I'm running Dreams and roll up fences daily with clear views no blur . and Fences should not cause any problems with that . Using the latest versions of both apps. Thanks for your suggestion. I want to know what's your OS version, if you use windows 10 then this problem will not happens(I tested this on a computer that run windows 10). As i said this only happens if you use windows 7 and use the multi desktop pages function of Fences3. Iam not sure about the codec version of my computer but i have installed PotPlayer with all of its newest codec. About the display driver i already installed newest driver from my VGA's brand. I think the best solution for me right now is not using the multi desktop pages function of Fences3 but i hope you guys consider this is a bug of your software and will fix it in the next update of Fences3.